Death is a gradual and highly variable business, dependent on a myriad of factors, and the expert witnesses at the trial of O J Simpson could be little more precise than the ancient Greeks and Egyptians. 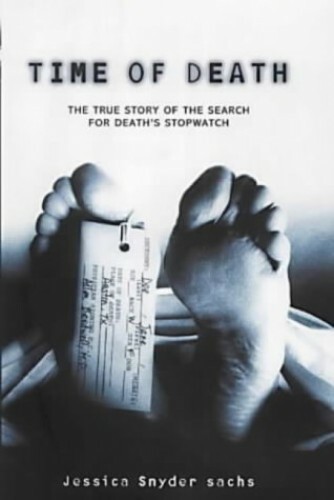 This title contains the details of crucial cases. Despite repeated claims and breakthroughs, forensic scientists are little better equipped to establish with any real degree of precision the exact time at which a victim of crime (or indeed anyone else, were there no witnesses) died. Over the last two centuries, scientists and detectives have attempted to rely on body temperature, evidence of rigor mortis and decomposition, the decay of the vitreous humor of the eye, the stages of digestion of the body's last meal, the progress of the insects that prey of dead bodies, all eventually without total conviction. Death is a gradual and highly variable business, dependent on a myriad of factors, and the expert witnesses at the trial of O J Simpson could be little more precise than the ancient Greeks and Egyptians. Gloriously written and ghoulishly fascinating, studded with the details of crucial cases, this is true crime at its most fascinating.